People do business with friends. We buy from others that we know, like and trust because risk dominates the hiring decision. Afraid that you won’t get our vision. Afraid that we won’t communicate well together. Afraid that you’ll vanish on us. Afraid that we’ll spend a bunch of money & not get the results we wanted. To get the job / win the contract / get hired, you need to show that you’re the lowest possible risk. That’s why it’s your job to make your clients at ease, make them feel comfortable & confident about hiring you. They want to feel like you care about them, that they have your full attention, & you’re going to help them achieve their business mission. And there’s one outrageously simple way to start making them feel like you’ve got their back. It’s so simple that it’s just one word: You. The number one thing running through our minds at all times is: “what’s in it for me?” It’s the human condition. It doesn’t matter what you want someone to do, or how obvious its cool-factor may seem. Their first response will a l w a y s be to think about whether it’s worth their effort to do it. Will they benefit from doing it? What will they get out of the experience? ‘You’ language shows that the most important person in the business relationship is you, the customer. All of your copy should focus on your customer. Everything you write should appeal to them & highlight how you can solve their problems. That’s the point of your web copy, & that’s really the point of being in business in the first place. Make whatever edits you need to make ‘you’ the most common word on your website. You’ll soon notice how much your words can resonate with your audience when it’s written with a ‘you’ focus. Because this one-word tweak can make it seem like hiring you is a no-brainer. P.S. 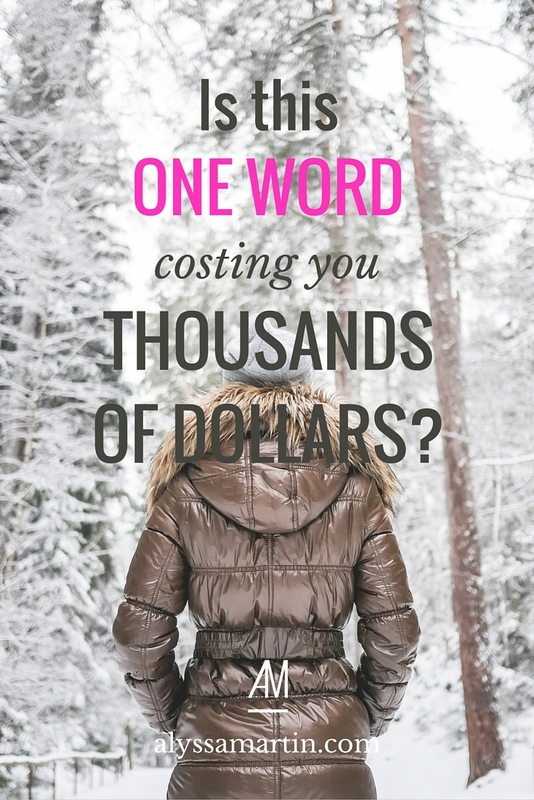 Here’s more surprisingly powerful & persuasive words to inject into your copy.